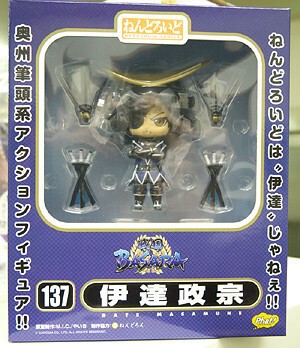 Nendoroid Date Masamune’s Release is Announced by Phat Company; Sanada Yukimura to Follow Soon? According to the schedule, Nendoroid Date Masamune‘s release date is due next week (April 19), and it has been re-confirmed once again by Phat Company, the manufacturer behind thia Nendoroid. Meanwhile, Phat Company also mentioned that Nendoroid Sanada Yukimura‘s release date is expected to be announced in the near future. Whoa! !